Angel investing used to account for nearly one-quarter of the dollars at the very first round. Today, it’s 4.3%, an 81% decline. What’s happening to the very earliest stages of the fund raising market? The answer? Institutional seed has come to dominate the first round of capital. It’s massively outstripped any growth in angel investing, growing from about $0.5B annually to just about $4B in 8 years. 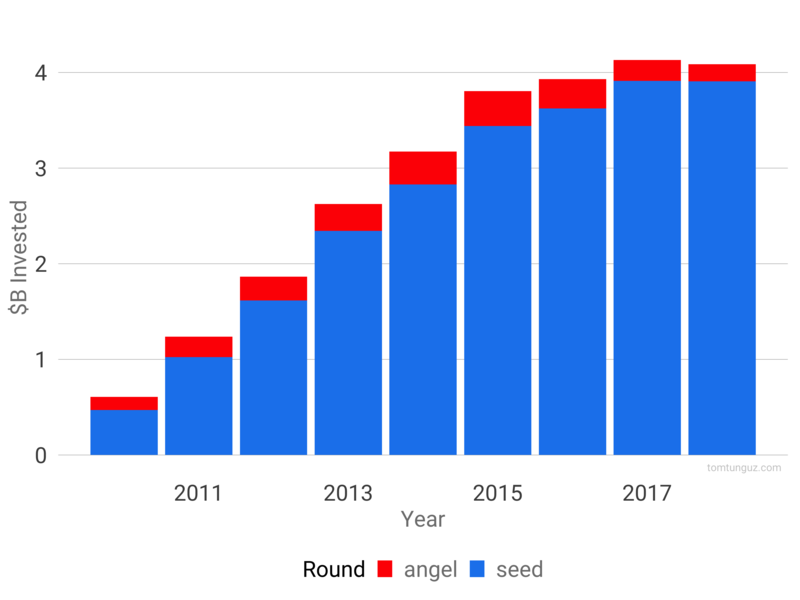 Seed fund checks are larger than angel checks, which corroborate what we all observe to be the case: valuations and round sizes at the very earliest stages are rising. Institutional seed funds might respond to this trend by writing bigger checks, raising bigger funds, raising opportunity funds or concentrating their portfolios. 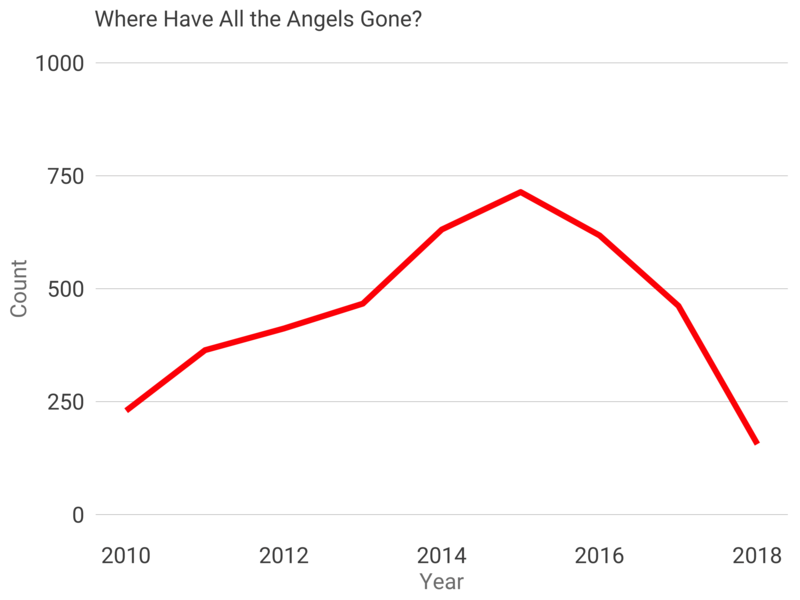 Angel investors, on the other hand, seem either to be walking away, or raising an institutional seed fund of their own. 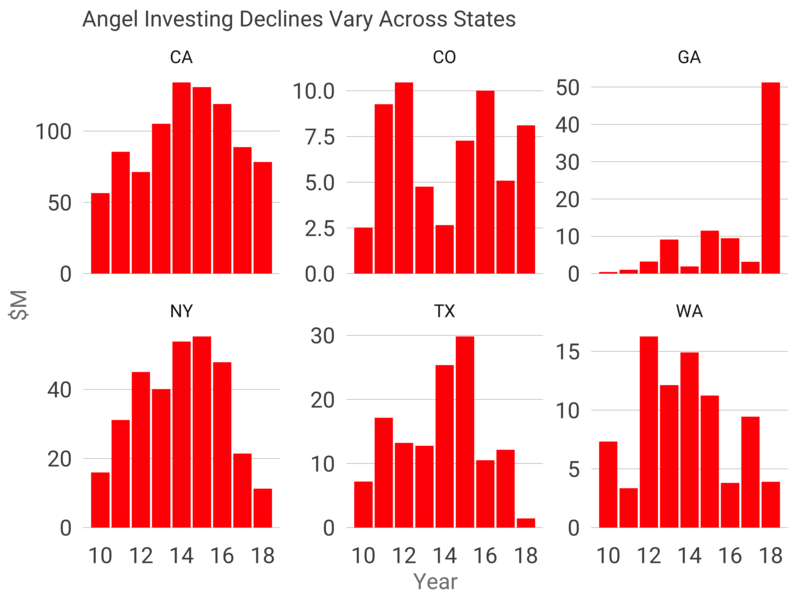 This pattern is broadly true across the top six states by angel round dollars, but Georgia and Colorado are bucking the trend to some extent. Look at Georgia – a sign of things to come or an anomaly, I wonder. What does this mean for startupland? Startup investing is no longer a cottage industry. It’s formalized, a standalone asset class deploying $100B a year. And the earliest stages are no exception. As one of my partners told me recently, venture investing in the valley started with six men who would lunch on Thursdays and syndicate investing because none could write a big enough check to cover a round on their own. We’re a long way from a white linen tablecloth lunch at a San Francisco oyster bar. And the implications for startups? 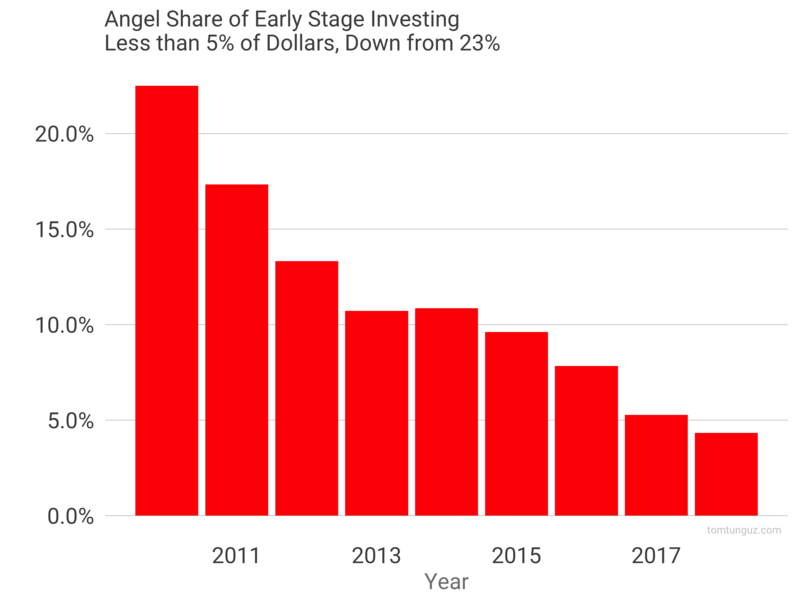 It means that angels, while still an important part of the ecosystem, represent a small and shrinking share of investors who will lead your first round. 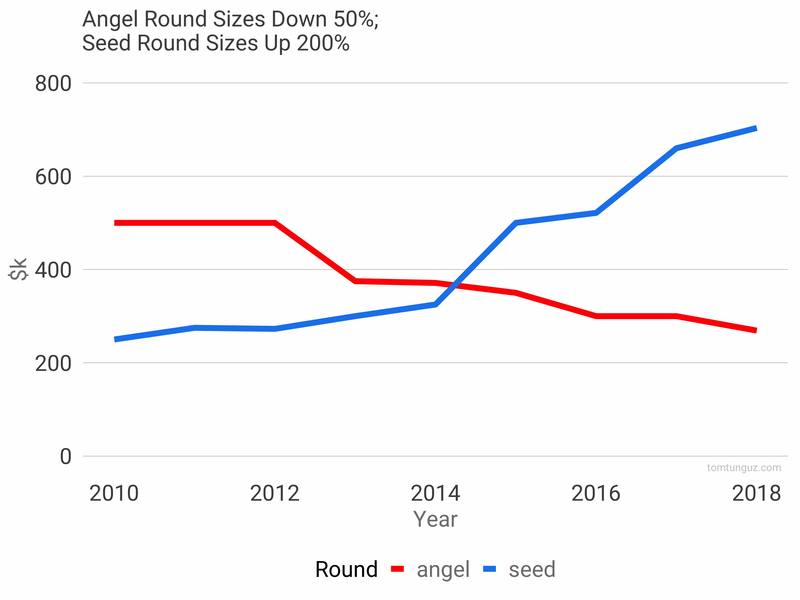 You’re 20x more likely to raise your seed round from an institutional seed than an angel syndicate.